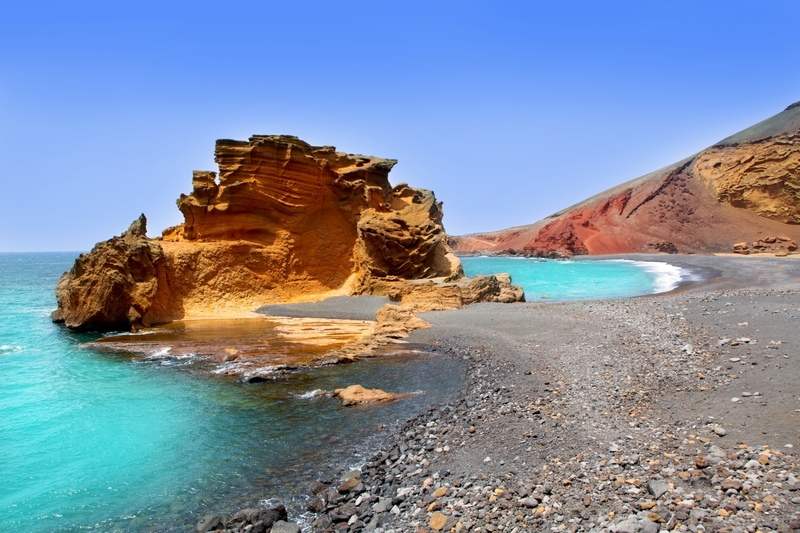 Situated around 125km off the north western coast of Africa, Lanzarote is the easternmost island of the Canary Islands. 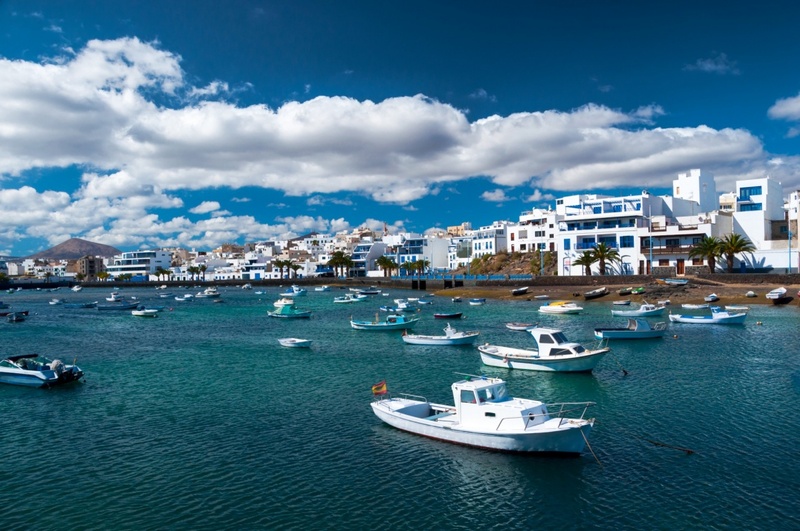 Teeming with pristine white sandy beaches, unparalleled water sport opportunities and quaint sleepy fishing villages – not to mention the superb year-round sunshine – Lanzarote is a popular holiday destination amongst travellers of all ages and tastes. Despite being only the fourth largest of the Canary Islands – after Tenerife, Fuerteventura and Gran Canaria – Lanzarote offers a plethora of things to see and do. The two main mountain ranges in the centre of the island create two different landscapes – the dessert-like volcanic west and the lush greenery of the east. This diverse landscape means there is an equally varied array of natural attractions, such as the Timanfaya National Park and Cueva de los Verdes – both of which are a must visit during your holiday in Lanzarote. When you’ve had your fill of natural wonders, there are plenty of man-made attractions to discover, too, including the family-friendly Rancho Texas and a number of stunning golf courses. When it comes to sunbathing and water sports, you’ll be spoilt for choice in Lanzarote. The island is internationally renowned for its amazing surfing, windsurfing and kite boarding opportunities which are available all-year-round, thanks to the almost constant coastal winds. The beaches on Lanzarote come in every size, shape and type you can imagine, with everything from the most beautiful blonde sandy bays you’ve ever laid eyes on to natural rocky pools where you can swim without worrying about the tide. Don’t pass up the chance to try some authentic Canarian cuisine during your stay. If you’re into fish and seafood, be sure to pop into a traditional beachfront restaurant and sample their catch of the day which was most likely swimming in the Atlantic only hours before arriving on your plate. If you’re more of a carnivore, head to the typical villages further inland, where you can sample deliciously tender barbecued and grilled meats. Whatever you decide to have, make sure you wash it down with a glass or two of award-winning local wine. 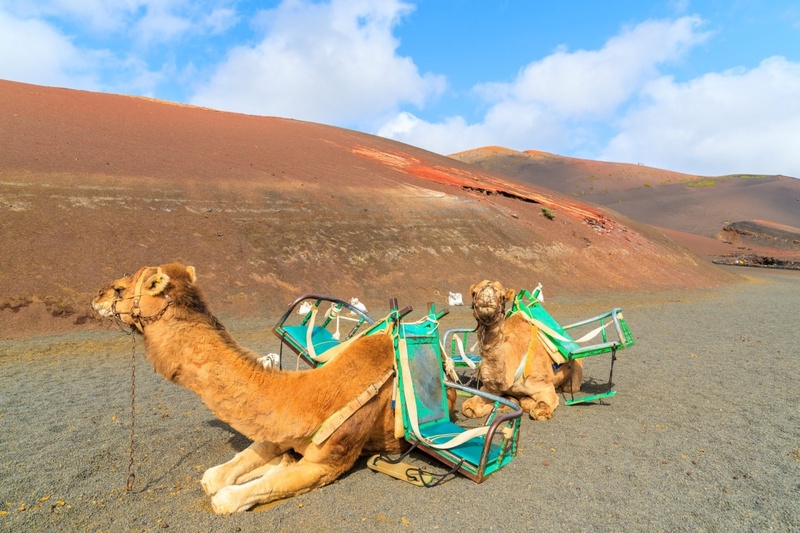 Whether you’re going on holiday for some much-needed rest and relaxation, the chance to have an adventure, or simply to enjoy some time together with friends and family, Lanzarote ticks all the boxes. Find information about selected Hotels, apartments and rooms in Lanzarote and 5 star hotels in Lanzarote to choose the perfect place for your accommodation. ©2019 - travellanzarote.com All Rights Reserved.